Mugabe ruins Telecel to punish Makamba? ZIMBABWE – Madnes has gripped the government of Zimbabwe. It has once again demonstrated its malevolence and callous disregard for the welfare of its people. 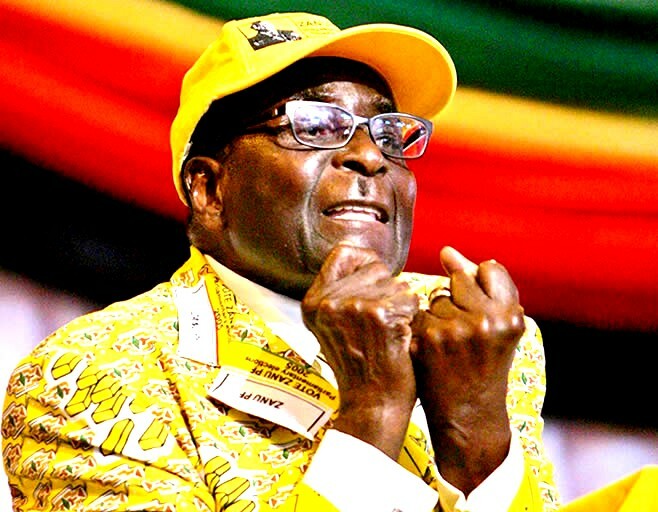 The decision by a bankrupt government to acquire a 60 percent stake in mobile telephone company Telecel is the latest example of how destructive the government of Robert Gabriel Mugabe is. Here are the facts. In 1980 when Zanu PF got into power it inherited a number of parastatals which, despite 15 years of comprehensive sanctions against Rhodesia, were fully functional. These included the National Railways of Zimbabwe, Air Zimbabwe and the Zimbabwe Iron and Steel Company (ZISCO). The first two are bankrupt while ZISCO to all intents and purposes no longer exists. In 1980 ZISCO had the capacity to produce a million tons of liquid steel yielding 850 000 tons of long steel products. It supplied all of Zimbabwe’s long steel product requirements with excess capacity to export. The company employed 6,500 people with many others employed at its subsidiaries Lancashire Steel and Buchwa Mine. All that is gone with disastrous consequences for people in Redcliff and Kwekwe. The National Railways of Zimbabwe no longer offers a reliable passenger and cargo service. Air Zimbabwe ranks as one of the most unreliable airlines in the world kept arterially afloat to feed Mugabe’s vanity. These examples are only a microcosm of the damage the Zanu PF government has inflicted on the country’s economy and resultant welfare of its people. This begs the question why a bankrupt government with such a disastrous record in the management of state entities should acquire a stake in a privately owned company. The answer inadvertently was provided by Telecommunications Minister Super Mandiwanzira. He said this insane decision was made at the behest of his principal. Who is his principal? Robert Mugabe. And why would Mugabe against all economic sense and logic want to take over Telecel without the resources and expertise to run it? The answer lies in his personal vendetta against the Chairman of Telecel Zimbabwe and head of the Empowerment Corporation that has a 40 percent stake in Telecel Zimbabwe, James Makamba. Asking ZARNET to acquire Telecel is ridiculous. ZARNET has been in financial trouble since its formation in 1997 so it simply lacks the capacity and financial resources to take over Telecel. It is a scandal on its own to even begin to think like that. Of course it is clear that ZARNET is being used as cover for some murky deal. When NSSA was asked to underwrite this deal its chairman Robin Vela has this to say: As promised I met with investment committee yesterday to discuss NSSA’s support for the project to acquire Vimplecom’s shareholding. I understand Vimplecom’s interest to be 60 percent equity and 80 million US dollars shareholders’ loan; I can disclose that NSSA investment team and management has formally declined to participate in the transaction based on the assertion that NSSA was just funder providing an unsecured loan. This is fundamentally against what NSSA’s mandate is given NSSA is the custodian of Pensioners’ funds on which securing the capital and gaining a return on the same is a critical requirement. NSSA does not lend funds directly to any company. It lends to banks under strict and limited conditions. The Telecel transaction would not qualify as such. The lengthy quotation is absolutely critical as it conclusively proves the unethical and illegal nature of the deal. NSSA has a fiduciary duty to secure Pensioners’ funds and has no business to invest in risky commercial ventures. There are also wider implications on the investment climate in a country where capricious politicians make self-service decisions. Back to Makamba. It’s common knowledge that Mugabe suspected that Makamba had an affair with his wife. The businessman was jailed for seven months ostensibly for foreign currency violations. He was repeatedly denied bail on charges whose penalty was only a financial one. Due legal process was denied to him. Today Makamba lives in exile because his freedom in his homeland is not guaranteed. But these Zimbabweans like Makamba and others in enforced exile are not the real victims. The people who lost employment as a result of their exile bare the real victims. The country suffers because it has lost some of its most enterprising citizens. Telecel will not survive a government takeover. The same government could not profitably run the first mobile telephone operator TelONe. Given the malicious intent behind the Telecel takeover it is doubtful that the company will continue to exist. The livelihoods of thousands of Zimbabweans will be ruined. It will also be further confirmation that the regime in Harare has no regard for property rights. The downward economic spiral will continue with resultant poverty for the majority of the country’s citizens. At a time when Telecel’s licence was under threat Vimplecom’s chief business development and portfolio officer Anton Kudryashov said: We don’t feel welcome in Zimbabwe and it is not good. We want to feel appreciated for what we are doing and we would like to see our licence fully restored. A country that drives away its most enterprising citizens and adopts a hostile posture to potential investors is destined to fail. The Telecel takeover by government is the latest body blow to an economy that has spread and deepened poverty in Zimbabwe and driven millions of its citizens to foreign lands. In the case of Telecel, a vindictive head of state condemns thousands of his citizens to destitution to settle a personal score. It is this malicious vindictiveness that drives the decision to acquire Telecel by a government that will run it to the ground. This is how low Mugabe’s government has sunk. It has become insensitive to the welfare of its people in its pursuit of unbridled power and selfish accumulation of wealth for a few individual.